General Stand Watie Cherokee Chief. 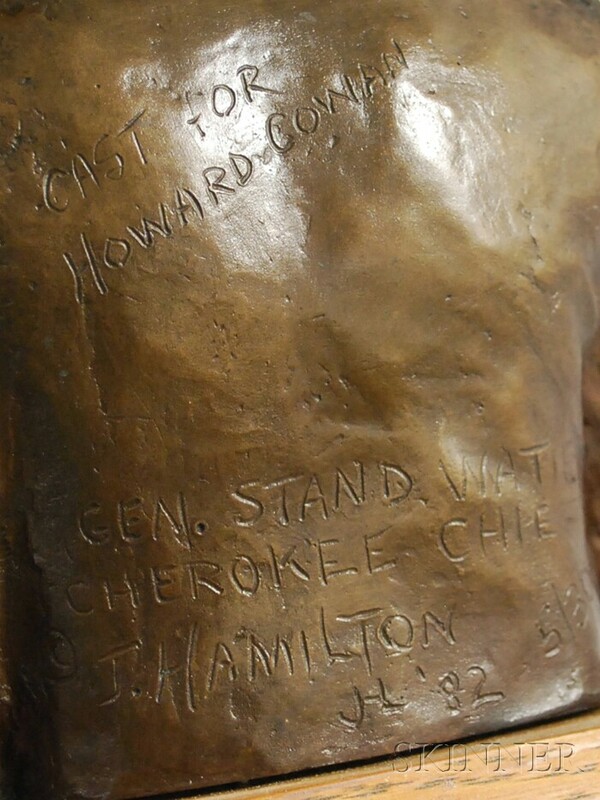 Signed "© J. Hamilton '82," initialed, inscribed "Cast for Howard Cowan," and numbered "5/30." Patinated bronze, 8 1/4 x 6 x 4 in., mounted to a plinth. Condition: Minor surface dust.